by Ericka Cruz Guevarra Follow OPB Aug. 23, 2018 11:01 a.m. | Updated: Aug. 23, 2018 12:25 p.m. | Portland, Ore.
An arm of Oregon’s Tourism Commission wants to warm tourists up to the idea of vacation in Oregon despite a summer of cold feet over wildfires in the West, driving a sizable revenue loss to the state’s tourism industry last year, leaders say. 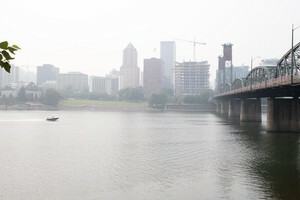 Travel Oregon says it’s joining a coalition of leaders from Washington and California to encourage tourism to their states, all while fighting visitor hesitation shaped by historic wildfire-related events that now include the largest fire burning in California history and Portland’s hottest year on record. 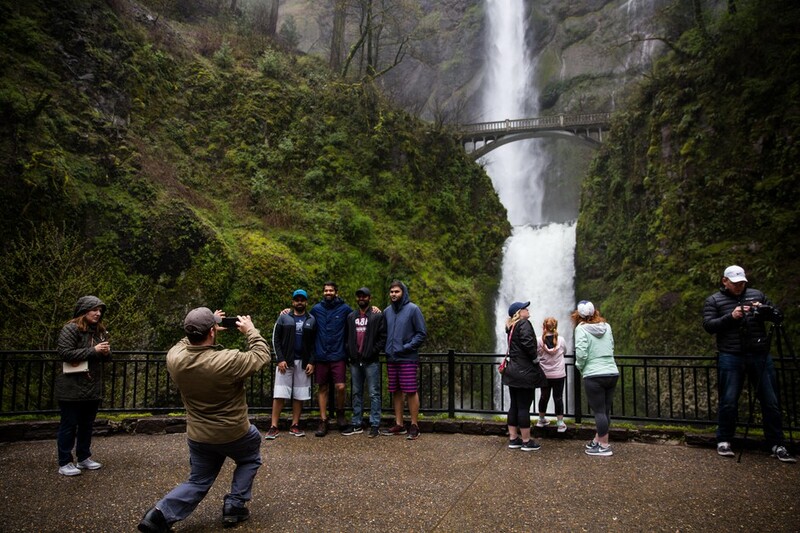 Tourists take pictures next to Multnomah Falls, April 13, 2018.
. 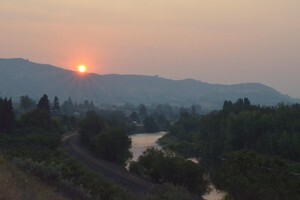 The study measured the economic impact of tourism in the state. “We found that really all sectors of the tourism economy were impacted,” Davidson said. Oregon’s food, beverage and lodging industry experienced a nearly $28 million loss last year. 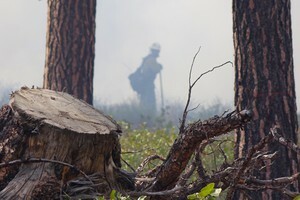 Tourism groups say that’s mostly due to misinformation about the impact of wildfires for travelers. “Visitors spend a combined $166 billion in our states, and travelers will cancel trips if they don’t have information to help them make a safe choice,” said Caroline Beteta, president and CEO of Visit California. 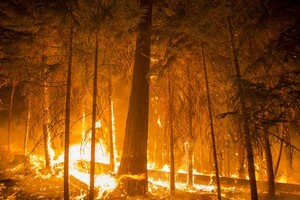 Agencies like the U.S. Forest Service have had trouble in the past with tourists who aren’t aware of rules in areas affected by wildfires, including the Eagle Creek Fire in the Columbia River Gorge. Last year the USFS handed out warnings and citations to more than a hundred people caught entering closed areas of the iconic Multnomah Falls, mostly to take selfies. And first responders repeatedly dealt with hikers entering hazardous areas of the Gorge, forcing first responders to rescue two hikers who jumped a barrier and ended up lost in the Angel’s Rest area.